Let me start off by saying, I am not expert. I don’t have an alphabet soup of letters behind my name (nor do I want it.) I’m not even sure why people read this, but they do. I’m just a mom – hell bent on making things better for my daughter, or at the very least not making things worse. I feel a strong desire to share with whoever will listen. As long as people are willing to read, I will share. 150-200 years ago, 90% of the world’s population worked on farms and produced their own food. Today only 2% of the world’s population produces food for the entire planet (7 billion people). By making things easier (thank you agricultural and industrial revolution) we’ve essentially put a very important job our of business. 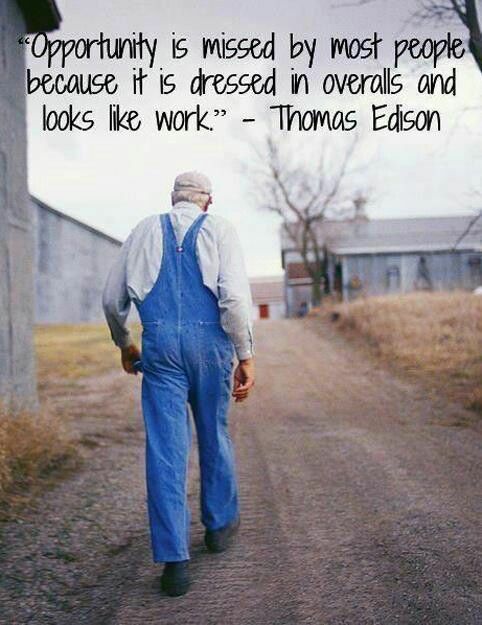 It’s our job to keep the farmer in business. Between raising kids, jobs, family matters, social groups, church, etc., we’ve turned our backs on our food providers and turned to prepacked, convenience, junk. Someone recently told me, “I don’t accept junk in my marriage, I don’t accept junk from my kids, so why do I accept junk from my food.” This made me think “Why do we settle for less when it comes to food”? Our literal life giving source, has been degraded to a 100 calorie snack pack of Oreos. Visit your local farmer’s market. Most cities and town have markets on the weekend (and some larger cities have markets during the week). If you’re in a really small town, visit the produce stand on the side of the road. Just show your support for the local farmer, talk to them, shake their hand, thank them, give them business when you can. I feel like the dial is gradually turning back to simpler, better quality food. Our health depends on our ability to eat the foods God intended for us to eat – whole, natural, home grown goodness. Let’s put sick care out of business. Overweight, insulin resistant, tired, in pain? Click here. Next > What is Eating Clean? ?